I was trying to get a list of my patents for updating my CV/resume and because of my common name searching scholar.google.com and/or usto or other websites I get 100+ patents out of which only <10 are mine, is there an easy way to get a list of only my patent ? Even better can it be a live list so I can put the list on my website. There are vast method to cover all patents filed by inventor, It depends on indexing of database, truncation or errors made while filing or indexing, language etc. A person has to design various keywords to cover all possibilities. Still researcher may not get complete information if patent office is not included in searchable database. 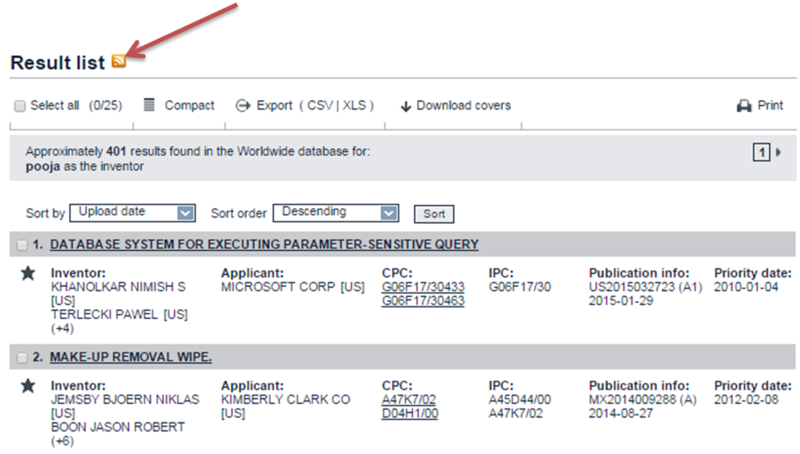 To search inventor you can visit "Is it possible to search patents by assignee?" You may include Family Patents of results "Is this patent valid in USA or Australia?" Not the answer you're looking for? Browse other questions tagged search patent-search or ask your own question.